An international research effort led by scientists at the University of Liverpool, in collaboration with Public Health England and Boston University, have published research showing that the method they used with blood samples taken from infected and recovering patients during the 2013–2016 West Africa Ebola outbreak to identify gene products that are strong predictors of patient outcome. Since the Ebola outbreak in West Africa, much research has been done to further understand the biology of the Ebola virus. In particular, the processes that lead to survival or a fatal infection are unknown, although the viral load can be a key determinant. However, while this premise worked well for predicting outcomes for people with extreme viral loads, it was less clear for people with mid-range counts, the majority of cases, where the outcome prediction was approximately equal between survival and a fatal infection. The results of this new study (“Transcriptomic Signatures Differentiate Survival from Fatal Outcomes in Humans Infected with Ebola Virus”), which are published in Genome Biology, identified a small number of genes whose expression accurately predicts patient survival, independent of viral load. Blood samples from patients who either went on to survive or die from the acute infection were collected by the European Mobile Laboratory in Guinea of Ebola and were analyzed using genomic techniques to identify and quantify messenger RNA expression. These results were compared to blood samples from a separate group of survivors who had recovered from infection and were now free of the Ebola virus. 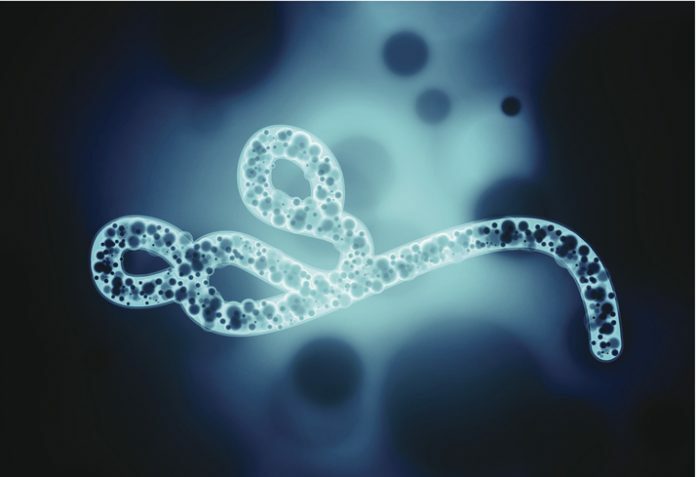 The analysis also provided some fundamental information on the host response to Ebola virus infection in humans. It found that an immediate robust immune response didn't affect whether people went on to live or die from the infection. The data also points to the virus causing significant liver damage.